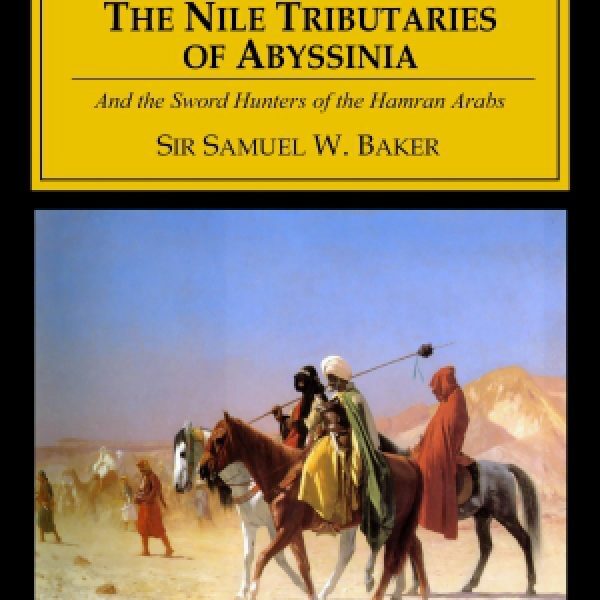 This being a concise summary of the Nile system, I shall describe twelve months' exploration, during which I examined every individual river that is tributary to the Nile from Abyssinia, including the Atbara, Settite, Royan, Salaam, Angrab, Rahad, Dinder, and the Blue Nile. Baker's earlier travels through Africa had led him to the lake that he named after Prince Albert. Now he was back in Africa to continue not only his exploration of the Nile and its tributaries, but also for ethnographic research, and hunting. Well, actually for hunting along the Nile tributaries. The Arabs are extremely proud of a good sword, and a blade of great value is carefully handed down through many generations. The sheiks and principal people wear silver-hilted swords. The scabbards are usually formed of two thin strips of elastic but soft wood, covered with leather. No Arab would accept a metal scabbard, as it would destroy the keen edge of his weapon. The greatest care is taken in sharpening the swords. While on the march, the Arab carries his weapon slung on the pommel of his saddle, from which it passes beneath his thigh. There are two projecting pieces of leather, about twelve inches apart, upon the scabbard, between which the thigh of the horseman fits, and thus prevents the sword from slipping from its place. Carried in this position at full speed, there is an absence of that absurd dangling and jumping of the sword that is exhibited in our British cavalry, and the weapon seems to form a portion of the rider. This day a herd of twenty-eight giraffes tantalized me by descending a short distance below the level flats, and I was tempted at all hazards across the river. Accordingly preparations were immediately made for a start. The sheik of the village and several of the Arabs were hippopotami hunters by profession; these fellows could swim like otters, and, despite the crocodiles, they seemed as much at home in the water as on land. We prepared an impromptu raft. My angarep (bedstead) was quickly inverted; six water-skins were inflated, and lashed, three on either side. A shallow packing-case, lined with tin, containing my gun, was fastened in the centre of the angarep, and two tow-lines were attached to the front part of the raft, by which swimmers were to draw it across the river. Two men were to hang on behind, and, if possible, keep it straight in the rapid current. There was not much delay in the launch. I stepped carefully into my coffin-shaped case, and squatted down, with a rifle on either side, and my ammunition at the bottom of the tin-lined water-proof case; thus, in case of an upset, I was ready for a swim. Off we went! 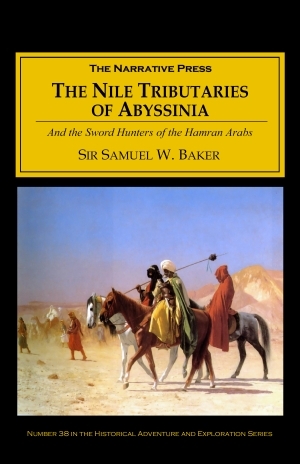 Baker does describe the Nile tributaries but the majority of his time seems to be taken up with his hunting: wild game and people are just more interesting to him. 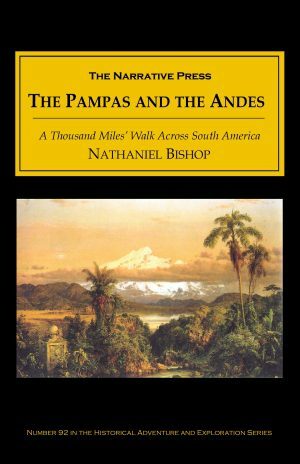 Yes, he can be pompous, but the world has shrunk since Baker's day, and his book captures all the excitement of being in new territory. And if you also need to know how to ford a swift river with a horse, you will find the technique in chapter 15.